The Boys & Girls Clubs of Portland exists to help empower all youth, families, and staff to reach their full collective potential. We believe in the right for individuals and communities to have equitable access and opportunity to participate and succeed in all organizations and workplaces, particularly our own. We recognize that there have been, and continue to be, patterns of oppression, exploitation, and unfairness in the culture, law, and institutions of our country that harm under-served groups and communities. BGCP commits itself to undoing these patterns of injustice in a deliberate and targeted manner, with a particular focus on ethnicity and race. In this ongoing process, we commit to using the principles of equity and inclusion to evaluate and guide our policies, practices, and procedures; to eliminating disparities; and to implementing an inclusive process for receiving community input. We will listen to those who may have not been heard before and commit ourselves to learn and grow from our mistakes. 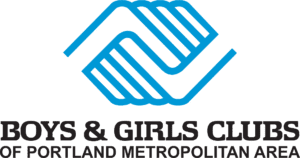 By becoming more equitable and inclusive, we will better empower and support the youth, families, staff, and communities that make up the Boys and Girls Clubs of Portland, as they discover their Great Futures.